Ringtail’s visual document review accelerates the discovery of key facts, documents and case themes to make your team more productive and engaged. This, in turn, will allow your team to build stronger case strategies, negotiate more confidently, reduce surprises and deftly manage the review and production process, no matter the case size or complexity. 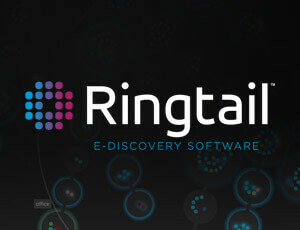 Feature-rich and easy to use, Ringtail keeps reviews on track and legal teams in control. The Ringtail user interface combines interactive visualizations with traditional view and coding panes to produce a fast, intuitive review. Legal teams will go faster, make better decisions and see more consistent coding across reviewers. Tired of the Limitations of Linear Review? 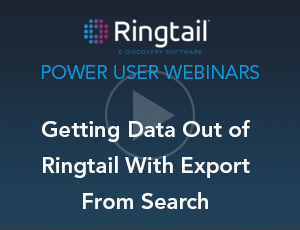 Fast, flexible and easy to master, Ringtail combines powerful keyword search, Attenex® concept clustering and e-discovery’s best, and only, visual review tool, Document Mapper™. Whether making early case assessments or managing multi-party, multi-year litigation, Ringtail can dramatically improve the speed and quality of your team’s work. Visualize and review search results, binders, or assignments with Document Mapper. By examining similar documents at the same time, reviewers make faster and more accurate coding decisions. In addition to organizing similar documents into clusters based on their content, Document Mapper is fully searchable. 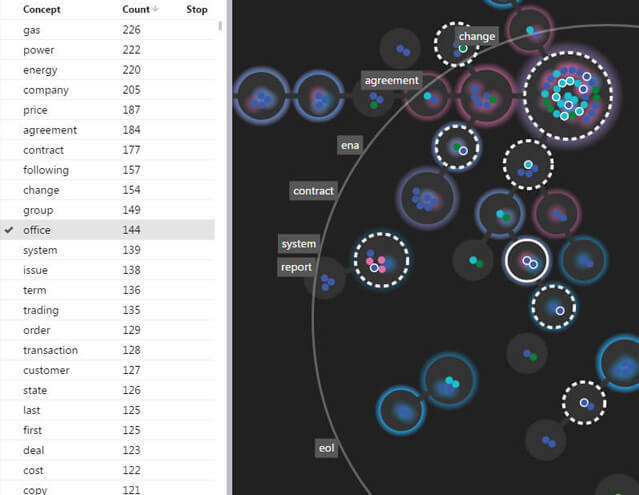 Reviewers can select a term from the master concept list and see hits in the map. Identify relevance and privilege terms in the same document using custom color multi-hit highlighting. Visual Predictive Coding substantially improves the speed, quality and consistency of review projects while also delivering profound time and cost savings. E-mail threading allows legal teams to focus on the unique items in an e-mail thread, eliminating the time-consuming process of reading duplicative sections.